A diet makes you slim. You can read this headline and the additional concepts in every magazine, every week and every month. Mostly women, men increasing, believe in this. This of course is one big motor in the diet-market, every month a new diet. If you really have a look on this pattern of diet-market, you find out by observing that the proclamation of every new diet implicitly evaluates those which were presented before. This is the one aspect to look critically on …………diets. There’s another aspect being described by the psychoanalyst Susie Orbach. More that forty years ago she wrote the “Anti-diet-book”. The most important message was “listen to your body, enjoy your body and treat your body self-consciously”. 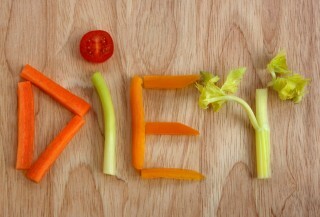 When you are aware of yourself and your body in this way you will no longer need a diet. You’ll no longer change the diets from month to month. The more you follow your own way, the better you’ll feel yourself, yourself in your own body. The more you’re in contact with yourself you’ll live your life self-determined.